Mr. Ranard M. (Mike) Shivers age 71 of Griffin passed away Tuesday, February 5, 2019 at Westbury Medical Care and Rehab in Jackson. He was born on May 2, 1947 in Griffin, Georgia. He is preceded in death by his parents, Patrick Shivers and Faye Wright Shivers Gibson; his step-father, Fred Gibson, Sr. He graduated from Griffin High School in 1965. 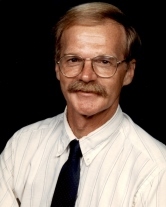 Mr. Shivers was a retired Civil Engineer, he was a loving father of two sons who were the pride and joy of his life. He enjoyed coaching them in baseball when they were young, taking them fishing and other adventures. He is survived by his two sons, Chris Shivers and wife Michelle of Austin, Texas and Andrew Shivers of Gray, Georgia; the mother of his sons, Linda Goddard Shivers; brothers, Rick Shivers and wife Wanda, and Fred Gibson, Jr. of Griffin. The family would like to thank the staff of Westbury Nursing Center and the Nurses from Brightmoor Hospice for their loving care during his final days. A visitation will be Saturday, February 9, 2019 from 12:30 pm until 2:00 pm at Conner-Westbury Funeral Home. Following the visitation a memorial service will be conducted in the Chapel of Conner-Westbury Funeral Home. Reverend John Nance will officiate.